The first draft of the health systems strengthening consensus statement has been disseminated to over 80 global health professionals around the world, and comments are starting to come in. Please consider reviewing the document, and contributing by emailing ghsias (at) gmail (dot) com. 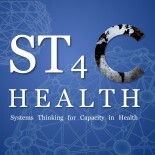 -We have been accepted to present at the Geneva Health Forum on April 19-21, 2010. We hope to discuss final unsettled issues at that forum, and then launch the document at the Global Health Council Conference in Washington, DC in June, 2010. –Jesper Sundewall, PhD, of the Karolinska Institute in Sweden has joined me as a primary author. This entry was posted on December 5, 2009 by chads in Uncategorized.